In order to create a Magento Android or iPhone app for your shopping website, you need to download the mobile app extension after you have signed up at our website. 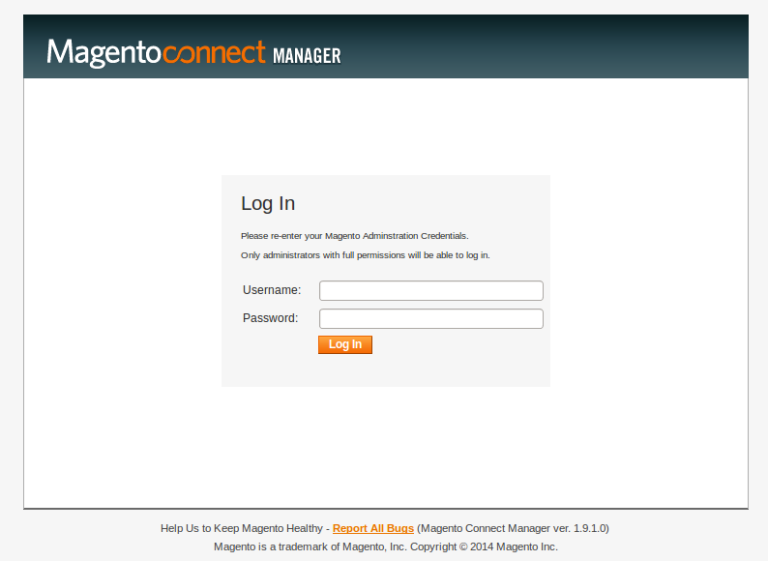 Step 3: Login using your username and password for Magento Connect Manager. Step 4: Click the “Choose File” button from the “Direct Package File Upload” section. Step 5: Browse the extension file from your system and click the “Upload” button. 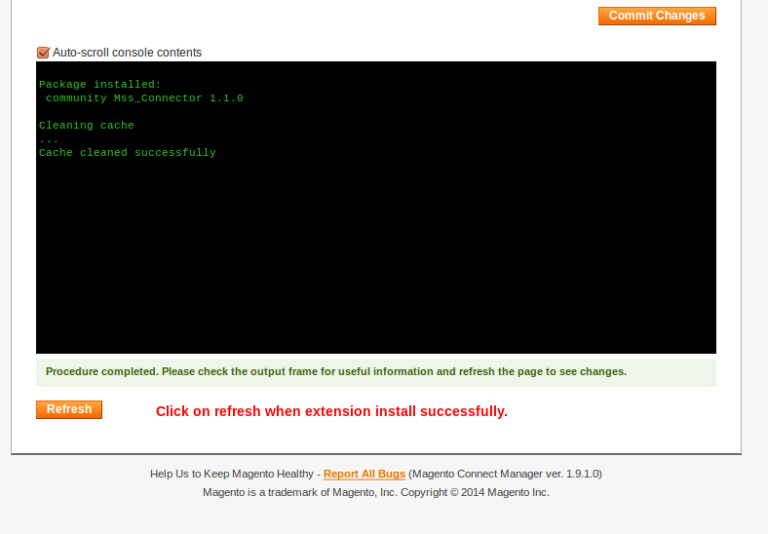 Step 6: Click “Refresh” button once the extension is installed. 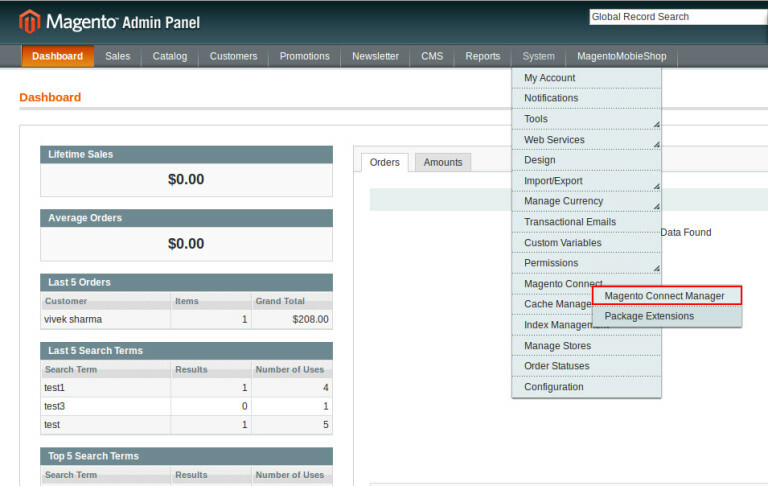 Step 7: In the menu tabs, click System > Cache Management > Flush Magento Cache. 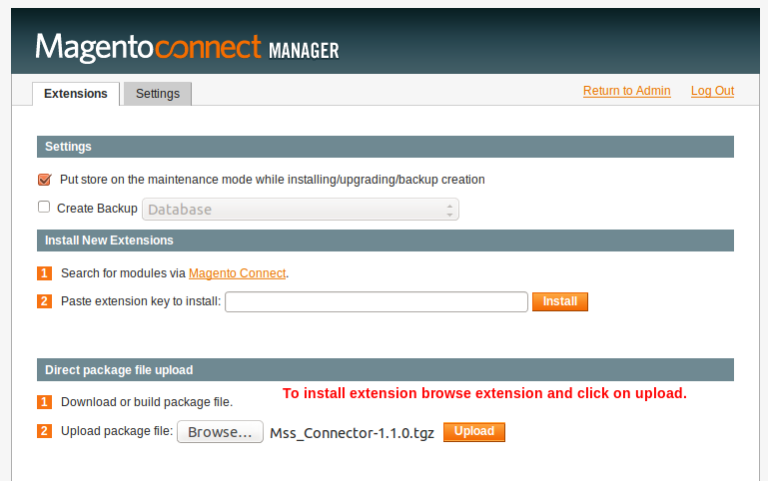 Step 8: To complete the installation process, logout from the Admin Panel and login again. You can also request our assistance in the installation of the extension in your website. Drop us a message at contact@magentomobileshop.com and we will contact you.